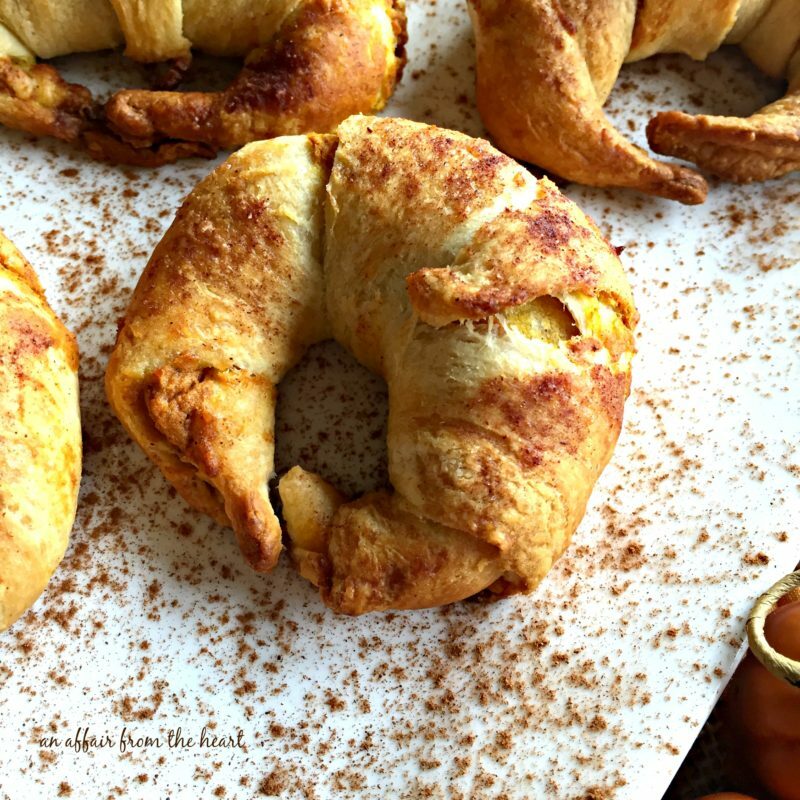 Easy to make croissants filled with cream cheese, pumpkin and fall spices. Lower calorie recipe that doesn’t require sugar, to keep calories down and you able to eat the fall flavors you love! Fall flavors are some of my favorites. Cinnamon, Nutmeg, Clove and Ginger. Not only does it taste amazing, it smells wonderful, too! It’s a win-win situation when you get to eat what’s making your whole house smell like fall. I haven’t really told you all much about the fact that I have been losing weight lately. I know .. I don’t always post the most health conscience recipes, but life is all about balance, right? I don’t typically like to tell people that I am working on losing weight, because I feel like if I don’t achieve it, I am letting more people down then just myself. Crazy, I know. I made the decision when we were floating in the lake, our last vacation of the summer. I was talking to my sister in law, and I told her, aside from wanting to live longer (good reason) I didn’t want to look like I did on that very day when the hubby and I took a photo on our 25th wedding anniversary (which was 2 months away at the time.) So, I started making changes. Eating less and moving more, and just plain watching what I was doing. So when the folks at SPLENDA® Naturals Stevia Sweetener asked if I was up for taking the #GoodbyeSugar30 challenge, I was intrigued. What is the #GoodbyeSugar30 challenge? 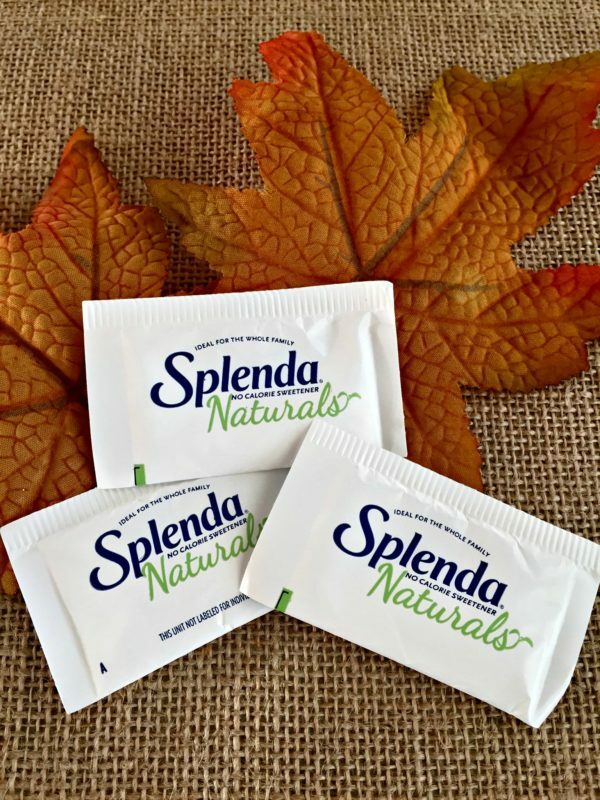 SPLENDA® Naturals Stevia Sweetener is challenging folks to reduce their sugar intake for 30 days. Throughout the challenge, you’ll learn how to spot the added sugar in your life, and how to go about avoiding it. Where some stevia sweeteners have a bitter aftertaste, SPLENDA® Naturals Stevia Sweetener is sweet – without the calories, added flavors or artificial ingredients. 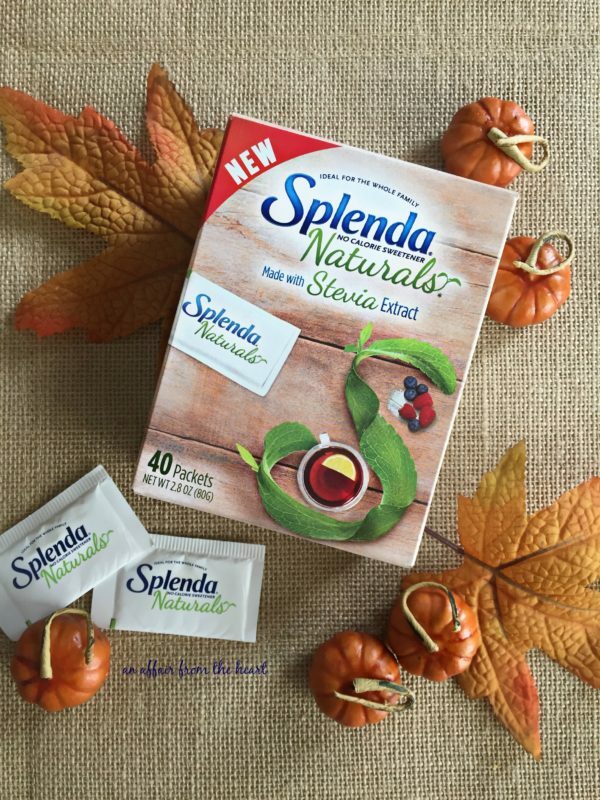 SPLENDA® Naturals Stevia Sweetener is available at retail stores nationwide in 40 and 80 count boxes. Here are 5 steps to help you make the most of the challenge: 1. Sign up and let your friends and family know about the challenge. 2. Get to know the different sugar terms on ingredient labels. 3. Identify obvious sources of added sugar in your refrigerator, pantry or on your next trip to the supermarket. 4. Watch for places where you have total control over removing added sugar from your foods and drinks. 5. Take a moment to ask yourself if you miss any of the added sugar you are cutting out. Again, it’s all about making good choices. Find out more and see how to get involved HERE. As I mentioned, fall is my favorite time for baking. I can’t resist a slice of pumpkin pie or a helping of apple crisp. So, I went about making one of fall’s most popular desserts without sugar. If you are watching your sugar intake, give them a whirl, and see what you think! 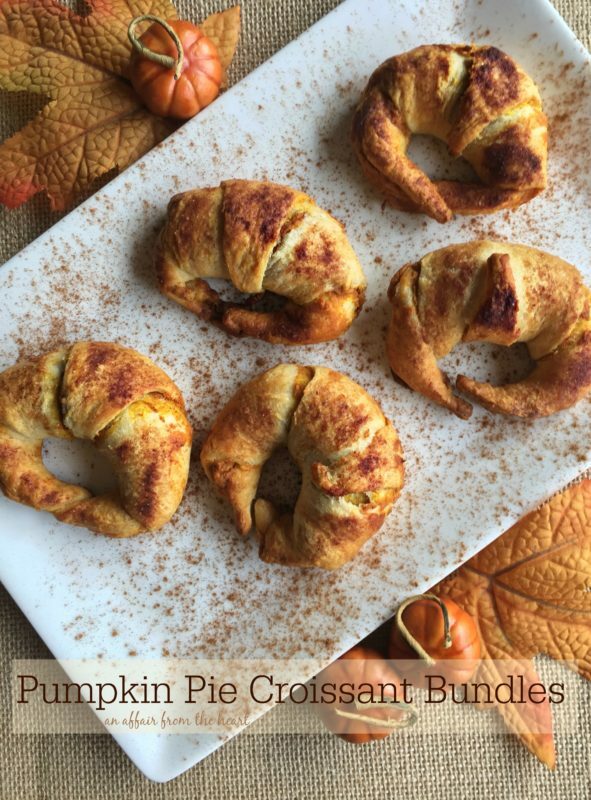 Refrigerator crescent rolls, wrapped around a mixture of pumpkin, cream cheese and spices. Dusted with more cinnamon and a bit of SPLENDA® Naturals Stevia Sweetener. If you are watching your sugar intake, it’s the perfect way to get the taste of fall without all of the sugar. 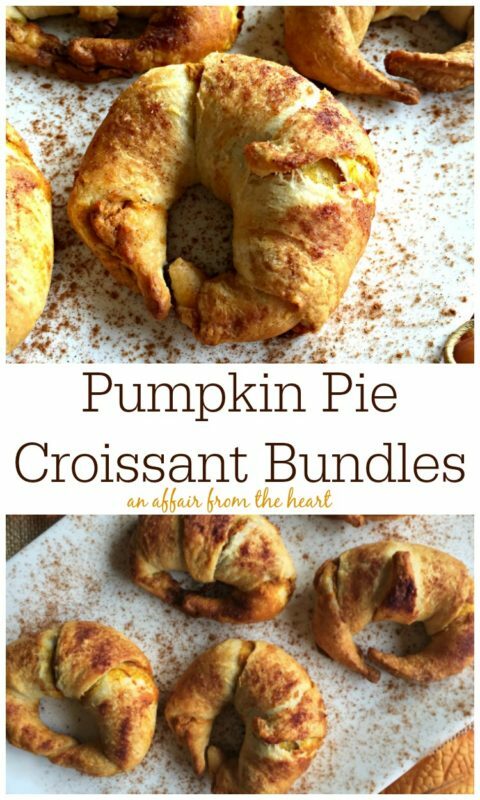 Easy to make croissants filled with cream cheese, pumpkin and fall spices. Lower calorie recipe that doesn't require sugar, to keep calories down and you able to eat the fall flavors you love! 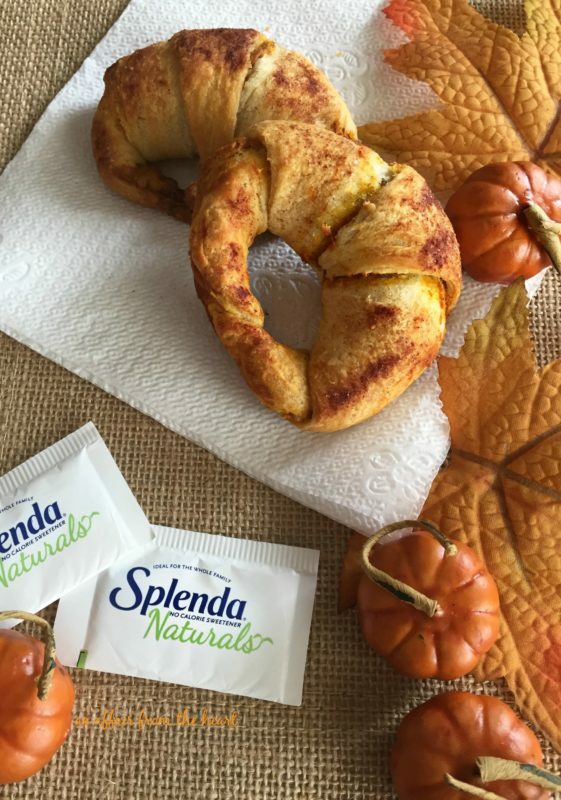 Mix together: cream cheese, pumpkin, SPLENDA® Naturals Stevia Sweetener and Pumpkin Pie spice. Beat until fluffy. 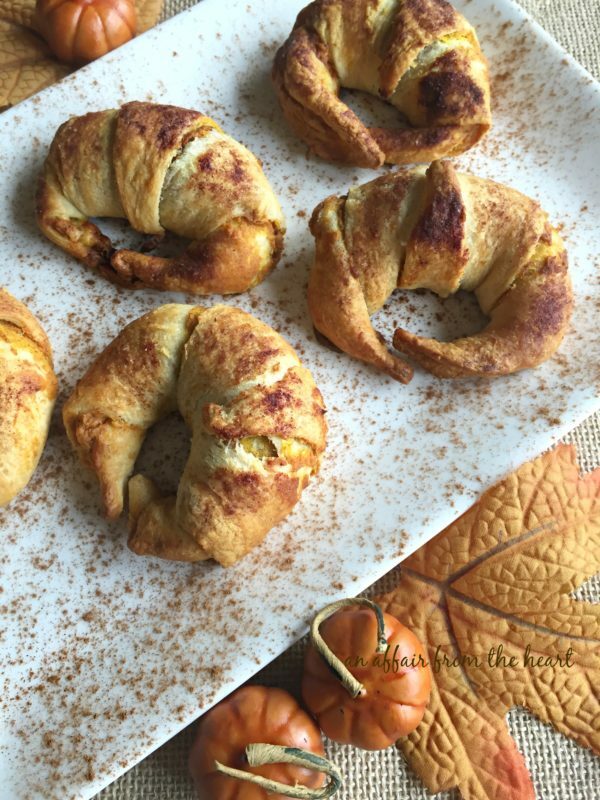 Roll each crescent roll out, top with about 1 Tablespoon pumpkin mixture, spread evenly. Dust with a little extra pie spice, and more SPLENDA® Naturals Stevia Sweetener if desired. Place on a cookie sheet and bake for 15 minutes.